On Aug. 1 at 7:01 a.m., police responded to the report of a suspicious item located in Bortons Mill Trail, which is a walking trail located at the corner of Brace Road and Borton Mill Road. Upon arrival Cherry Hill Police located a small section of PVC pipe with both ends crudely capped. Police secured the scene and notified the Cherry Hill Fire Department and the Camden County Bomb Squad. The device was subsequently secured by the bomb squad and rendered safe. The remainder of the park was searched by the Camden County Sheriffs K-9 unit. No other devices were located. Residents are reminded to immediately call 911 whenever they see any suspicious items. You should never approach or attempt to handle these items. Leave the area immediately and notify local law enforcement. 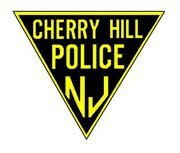 Anyone that has information or has observed any recent suspicious activity or persons in the area of Bortons Mill Trail is asked to call the Cherry Hill Police Department at (856) 488–7828.